The University of the Sunshine Coast (USC) is one of Australia's newest and fastest-growing public universities. The university has 15 different car parks. 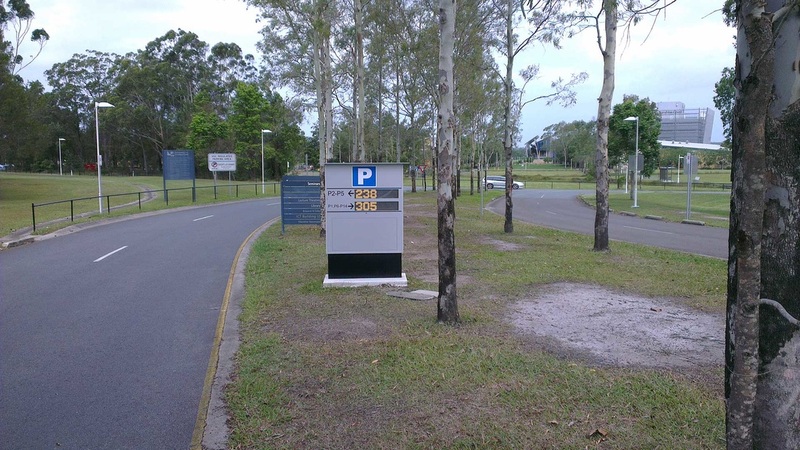 Holman Engineering supplied and installed a parking guidance system to advise students and staff of the number of spaces available in each of the sections of the car parks. The system efficiently directs traffic to the most readily accessible locations reducing emissions, and maximizing utility of available parking lots. 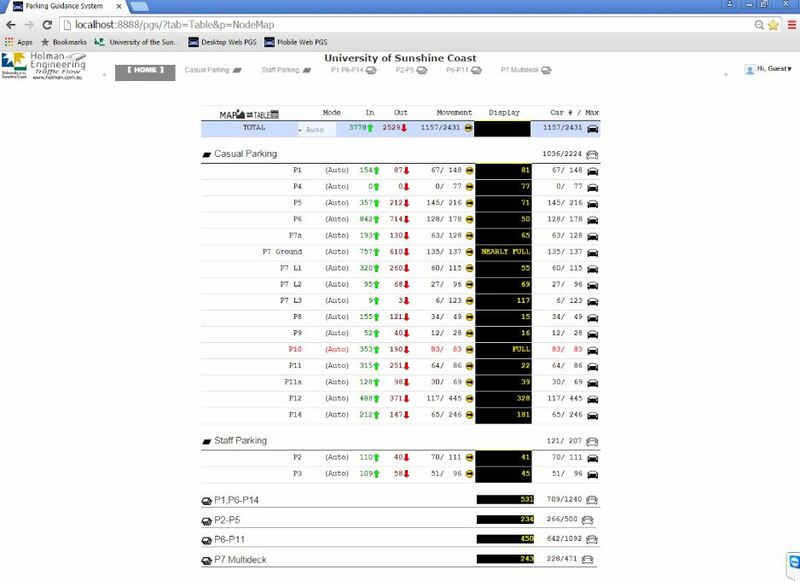 The Holman system provides information in real-time to the university's website (http://www.usc.edu.au/explore/campus/maps-transport-and-parking/parking). At USC, IntelliPark monitors over 2,431 spaces over 18 zones, using 31 LED displays on seven static signs, with 24 loop detectors monitoring car movements throughout the car parks. The data is collected using Holman Engineering's specifically developed node points. These nodes allow both the collection of data and the driving of the electronic signs. The system logs and stores data locally with the data being collated on a centralised database which allows in- depth analysis. 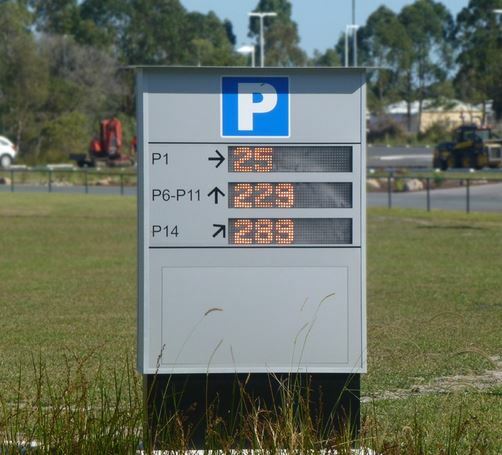 Above: IntelliPark Count table displaying vehicle movements in and out of the University of the Sunshine Coast's car parks. The LED signs are programmed to display 'NEARLY FULL' and 'FULL' when each car park reaches certain occupancy levels.